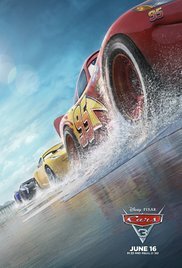 This Week’s Movie is Cars 3! Beatriz at Dinner – R – It’s impolite to bring up politics at the dinner table, but in Miguel Arteta’s Beatriz at Dinner it’s the main course. Heralded by some as a biting allegory for the Trump era, the moody dinnertime satire could just as easily be a darkling counterpart to the old Peter Sellers film The Party. Featuring Salma Hayek as the titular Beatriz, the film catapults the hapless immigrant and massage therapist into the world of the rich but conspicuously not famous when her car breaks down and her wealthy friend asks her to stay for dinner with her equally wealthy colleagues. With Salma Hayek, Chloë Sevigny, Connie Britton, and John Lithgow.